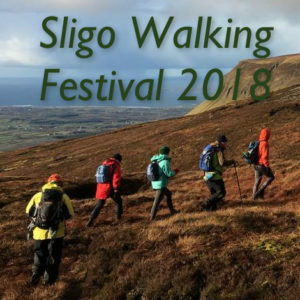 Welcome to the annual Sligo Walking Festival 2018. We look forward to meeting walkers old and new out on the hills. We have included a wide variety of walks so there is sure to be a walk to suit your individual level of fitness. 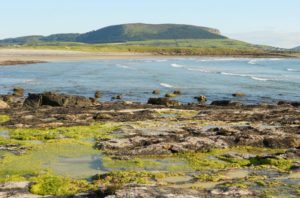 Sligo is also renowned for its live music and eclectic sounds lending itself to be the perfect location to kick back and be entertained after a day exploring a hikers dream terrain. While in Sligo be sure to try out many of our adventure and wellness activities and our wonderful bars, restaurants and cafes. 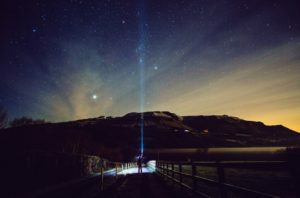 The night hike will take us out under a starlit sky through a section of The Sligo Way which runs from Slish Wood to Union wood, formerly part of the Cooper Estate. Guided by expert tour guides our torches will light our way through this ancient landscape. A perfect chilled out start to an exhilarating weekend. All are welcome to a meet and greet reception at the Riverside hotel at 9pm on Friday evening. Your tour guides for the weekend will be available for questions and you can meet your fellow hikers who have travelled for the weekend. Bus Departs: 6:30 pm Duration: 2.5 hours; approx. 9km. This is one for the seasoned hikers. On this hike we will traverse the Dartry Mountain range and some of its most iconic Mountains. The order of the day will be Kings Mountain, Benbulben and Benwiskin. The route is challenging but well worth it to claim bragging rights of visiting some of Sligo’s most breath-taking summits. You will also be rewarded with views of Glencar Valley, The Gleniff Horseshoe, The Wild Atlantic way and much more. Bus Departs: 8.30am. Duration: 6-7 hours; approx. 12km. Benbulben is located to the north of Sligo town and is part of the Dartry Mountains in the Northwest of Ireland. Benbulben was formed as a result of the various responses to erosion of the limestone and shale of which the mountain is formed. Benbulben was formed in the early ice age when large areas of the earth were under giant glaciers. 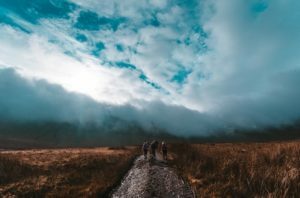 A picturesque bog land trail leads us below the sheer cliff faces of the iconic tabletop Benbulben Mountain before beginning our journey to the summit where we will be rewarded with panoramic views of the Wild Atlantic Way, the Ox Mountains, the Dartry Mountains and more. This breath-taking walk along quiet country roads and forest trails offers stunning views of the rugged Wild Atlantic Way and huge cliff faces of the Dartry Mountains. We begin our walk at a 19th century mill site before passing by bubbling mountain streams and pretty waterfalls. On our way through the spectacular horseshoe we walk under the giant cliffs of Annacoona and Diarmuid and Grainne’s Cave before dipping back down to the old dam and following the forest paths along the river back to our starting walk. A stunning walk with scenery not to be missed. Bus Departs: 9am. Duration: 2 – 2.5 hours; 5km. Keelogyboy is a spectacular rugged mountain on the border of Sligo and Leitrim. It stands 438 meters above Glencar Valley in the Dartry Mountains. This route offers stunning views of Lough Gill, Glencar Valley and the other iconic Dartry Mountains. We will make our way around Hangmans Hill, The Crockauns and Keelogyboy to make the most of the views in every direction. The remote lower bogland sections offer even more breathtaking scenery far away from the hustle and bustle of Sligo Town. Bus Departs: 9am. Duration: 3.5- 4.5 hours; approx. 7km. This is a magnificent hike that sees us visit WB Yeats Lake Isle of Inishfree and also the enchanted hidden lakes. This Route meanders through the mountains and woodlands on forest trails, moorland paths and rocky lake side tracks. This is one of Sligo’s classic hikes. With constantly changing terrain and scenery taking in incredible views across the countryside. Bus Departs: 9am. Duration: 3-4 hours; approx. 14km. This is one of Sligo’s most iconic landmarks. This tomb topped mountain sits above the seaside village of Strandhill on the Coolera Peninsula. The summit is crowned with Queen Maeves Cairn which was built around 3400BC. From the ancient tomb we will enjoy 360 degree views of Sligo, the surrounding counties , the Dartry mountains, the Ox Mountains and on a clear day the sea cliffs of Sliabh League in Donegal. A challenging uphill walk followed by a lovely coastal walk across sand dunes to the village of Strandhill. Bus Departs: 10am. Duration: 2-3 hours; approx. 14km. Registration fee of 20 euro is deducted from your total cost of walks. Established in 2010, NWAT provide a range of adventure services from our base here in County Sligo. We work with partners like Wilderness Ireland and Special Olympics Ireland to create world-class trips across the West Coast of Ireland.